We rarely tolerate nonsense, but we have a soft spot for “nonsense words”. They seem to work magic by keeping us united and happy. Who hasn’t joined in a singalong, mowing gleefully through refrains of “tra-la-la” and “valderi–valdera” (yet mumbling sheepishly through the rest of the lyrics)? In fact, we have a broad range of words to substitute for nonsense. 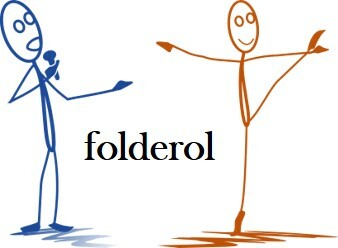 Folderol is one, as in “I wish we could just discuss these questions without having to go through all the folderol of a formal meeting”, as cited in the online Merriam-Webster Dictionary. Derived from “falderal” in the early 18th century, the word means “trivial or nonsensical fuss”. Folderol is best known as a nonsense word in the refrains of songs or in plays in verse, dating back to the mid-1800s. An example from a Yorkshire play is: “I hope you’ll prove kind with your money and beer / We shall come no more near you until the next year / Fal de ral, lal de lal”, as noted by Robert Bell, editor of Ancient Poems, Ballads and Songs of the Peasantry of England. All the wishes in the world are poppycock and twaddle! Impossible, for a plain yellow pumpkin to become a golden carriage. Impossible, for a plain country bumpkin and a prince to join in marriage. Repetition, nonsense: both are fertile ground for a large cache of synonyms and similar expressions. Indeed, you don’t need to wander far to stumble on a song and dance. In the 1870s, this phrase didn’t mean the same as it does today, “a fuss or commotion” (British English) or “a long explanation that is pointless or deliberately evasive” (American English). Back then, a vaudeville singer performed a song followed by a dance, usually to open an act. The performers would “go into their song and dance”, carefully rehearsed performances at a prearranged cue with the musicians. Today, to “give (someone) a song and dance” is to recite an excuse that the listener considers as nonsense . A less annoying though somewhat tedious song and dance is an account or narration given repeatedly. An example of using this to best effect was provided by the sports announcer Harry Caray, who once said, “I immediately went into this song and dance about how I wanted to be a baseball announcer, how I wanted to tell people about the things I saw at the ballpark, the excitement and the great plays and the great players” (The Chicago Tribune, 5 March 1989). Woe to the listener subjected to longwinded and often meaningless chatter; power to those who find the right words to describe it. One such term is rigmarole, “a long, rambling story or statement”, a word that originated in the mid-18th century. It stemmed either as an alteration of the Ragman Rolls, long pieces of parchment containing signed allegiances to Edward I of England five centuries earlier, or as a reference to a game of reciting verses from such a parchment (in essence, a long roll of nonsense). Another is bafflegab, meaning “incomprehensible or pretentious verbiage”, commonly associated with bureaucratic jargon. A bank of vocabulary pertaining to nonsense must also include gobbledygook, a word from the 1940s signifying “language that is meaningless or is made unintelligible by excessive use of technical terms”. The word’s origin probably comes from imitating a turkey’s gobble, according to Oxford Dictionaries. Yet another word often heard to describe nonsense is gibberish, which appeared as far back as the early 1500s. Despite all the folderol and fiddledy dee, and every song and dance we endure, the nonsense words are not as nonsensical as they seem. They’re quirky and they may irk our sense of order and clarity, but they provide pleasing filler in songs and verse, not to mention fodder for discussing language. And above all, they unite us. “Tra-la-la”, we sing along.